Lighting accessories were considered options on most classic Muscle Cars. We have reproduced these highly sought after accessories in exact detail for restorers and purists alike. Consult our individual car line catalog(s) for exact applications. Mercury activated switch/socket turns bulb on when hood is in the open position. 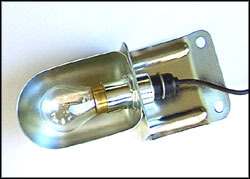 Most hoods are pre-drilled at the factory to accept the hood lamp housing. 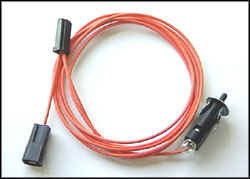 Simply attach the power lead to horn relay and you're ready to go. 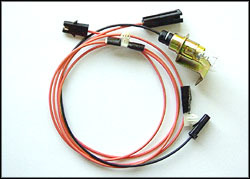 Mercury activated switch/socket turns bulb on when trunk lid is in the open position. 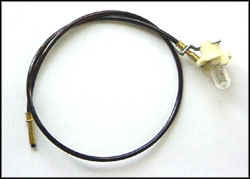 Leads plug into the Rear Lamp Harness for power. Plunger switch/socket fits into pre-existing hole behind glove box door. Lead plugs into accessory cavity in the fuse box for power. 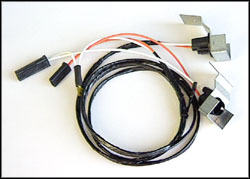 These fiber optic kits transmit light from an instrument panel light bulb down to the ash tray area. Mounted under the dash near the kick panels these lamps illuminate the floor board. Lead plugs into accessory cavity in the fuse box for power.